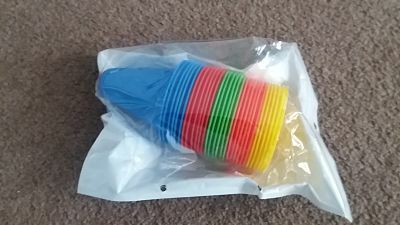 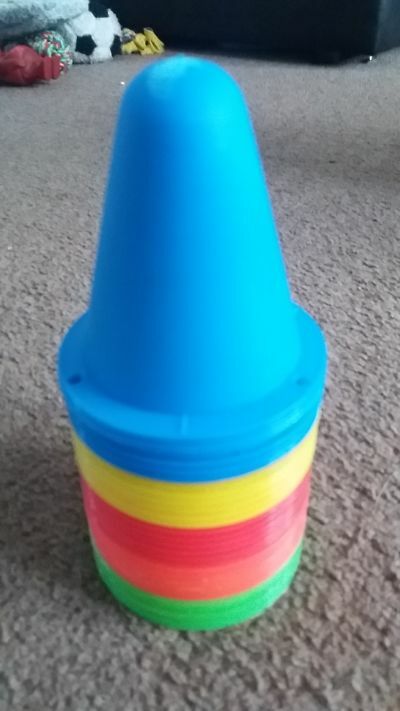 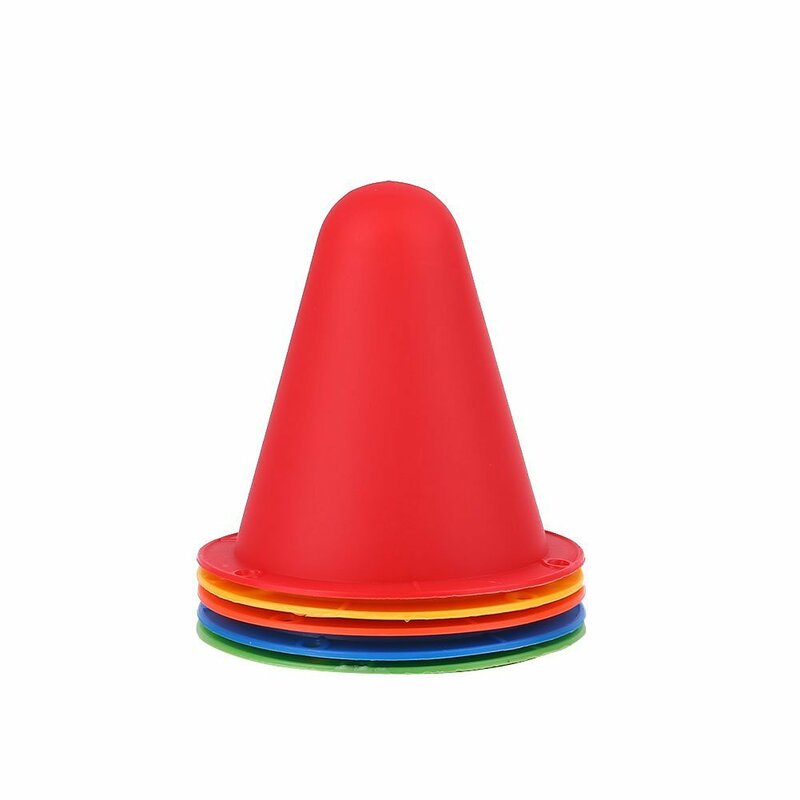 training him on agility and making little courses up for him, these are a 30 Pack of 8 cm Sports Cones for and can be for physical education ,sports training or even racing games or car themed birthday parties . 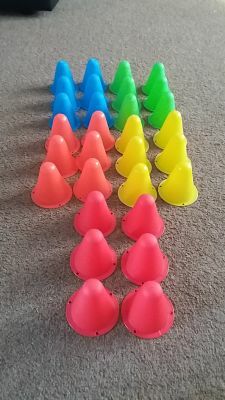 these all sit on top of each other so take up no room when storing , the come in 5 sets of 6 and are different bright colours, red, blue ,green ,orange and yellow with tiny perforated holes , enabling them to be tied or staked to the ground . 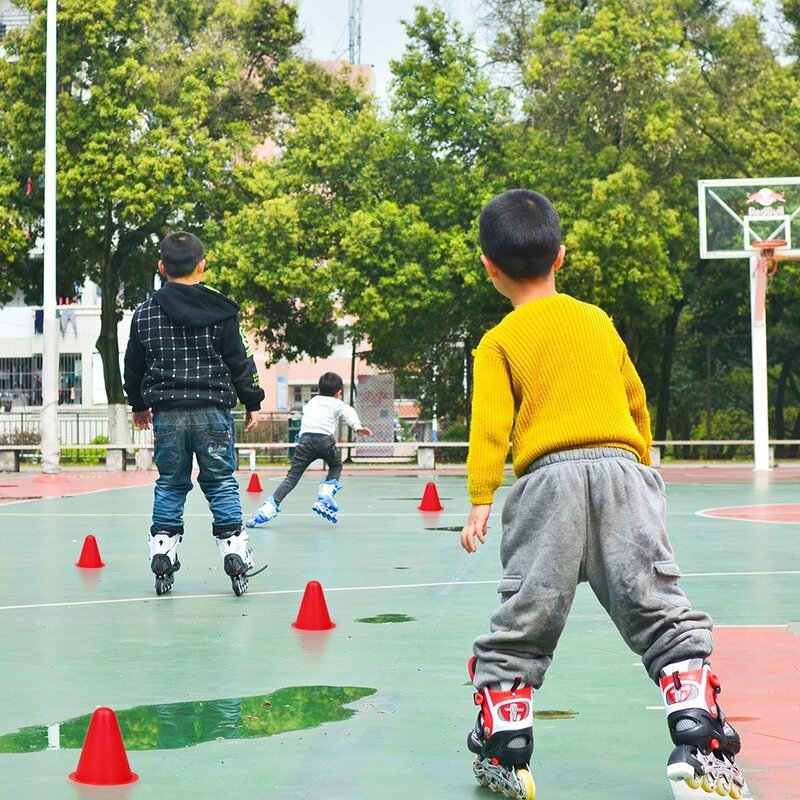 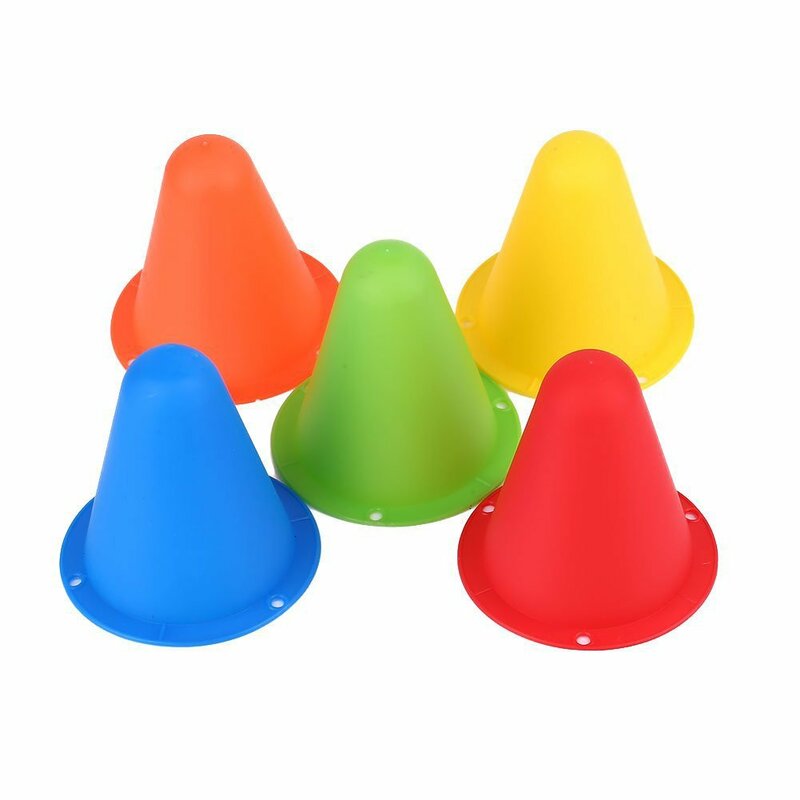 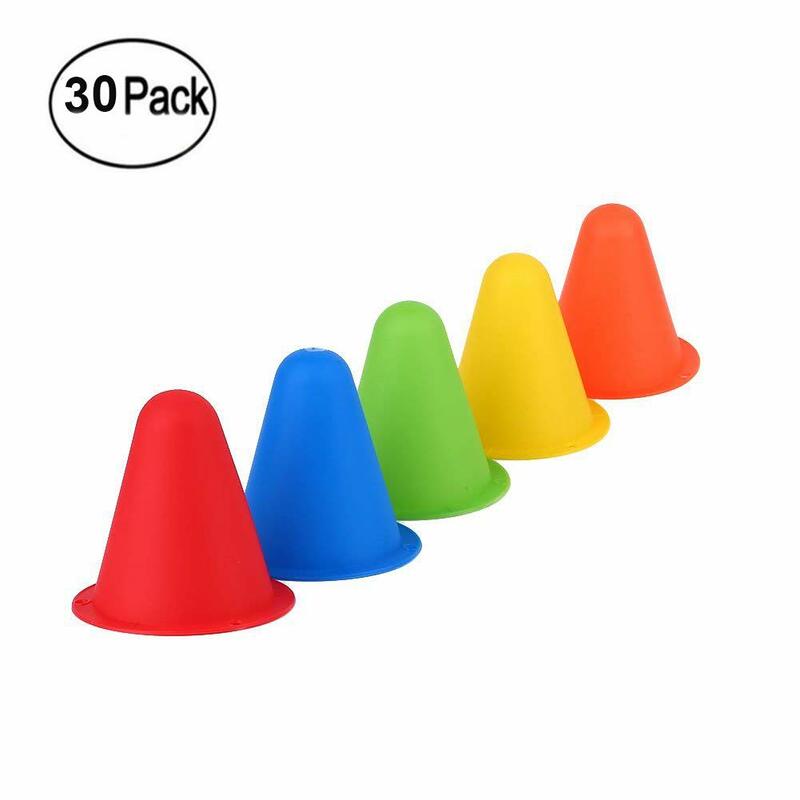 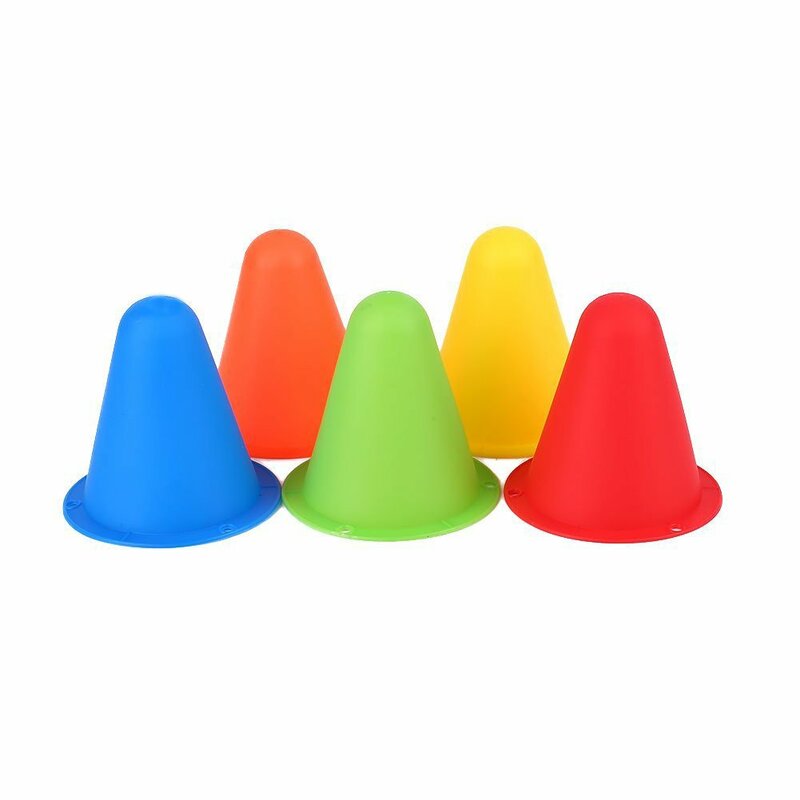 Made of polyethylene vinyl plastic ensuring that these cones have the durability and stability needed for all types of weather and surfaces.